The Eurovision Song Contest is an annually televised song competition between participants from various countries (participant countries must be active members of the European Broadcasting Union). The contest has been held every year since its commencement in 1956. The winning country is chosen by the public which casts votes using telephones or via text messages. 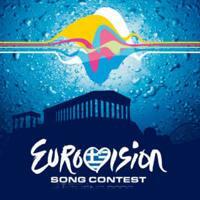 Eurovision is broadcast on television and on the radio throughout Europe and various countries worldwide. It has also been broadcast over the internet. If you are one of those that believe that the Eurovision Song Contest is not what it used to be...vote for the best Eurovision songs.